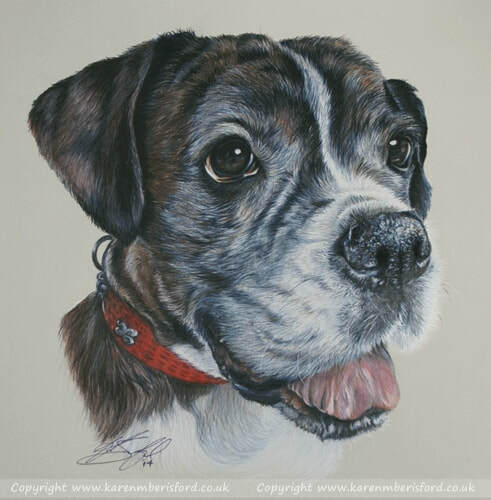 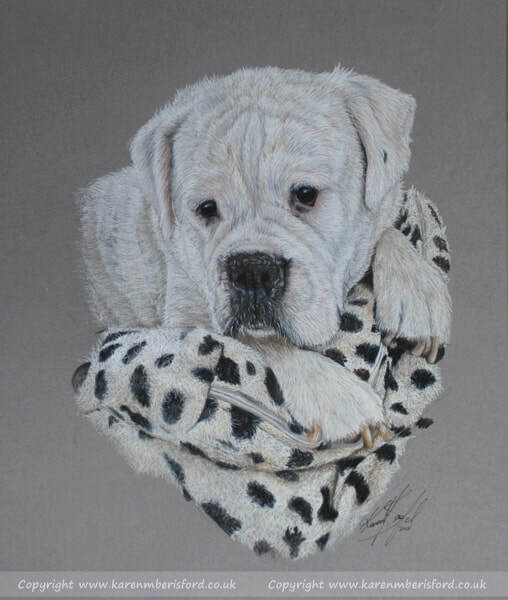 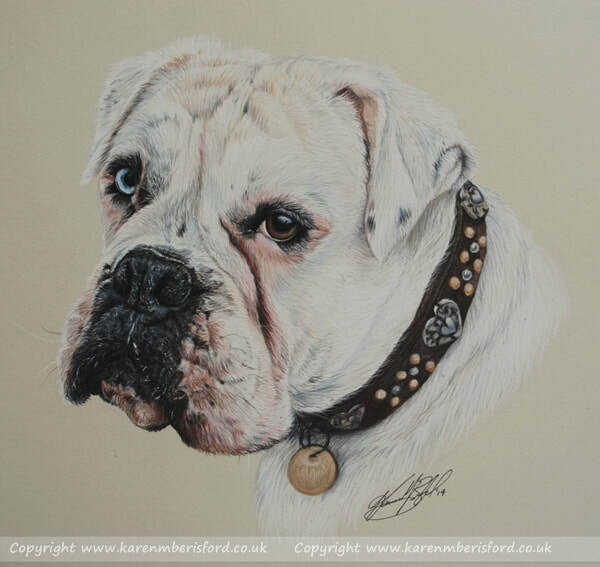 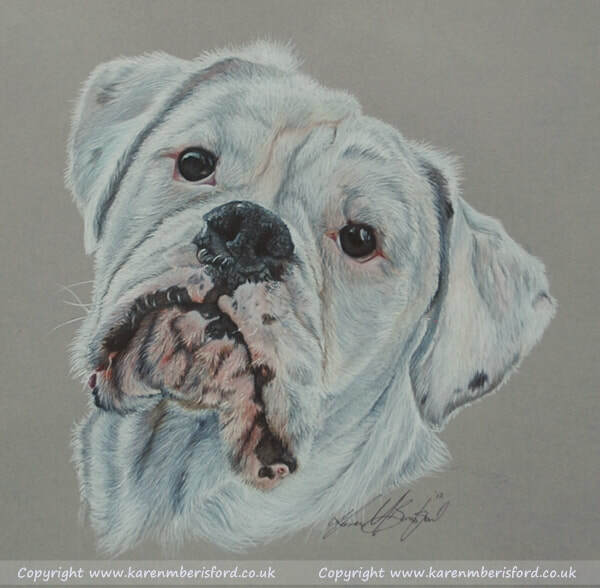 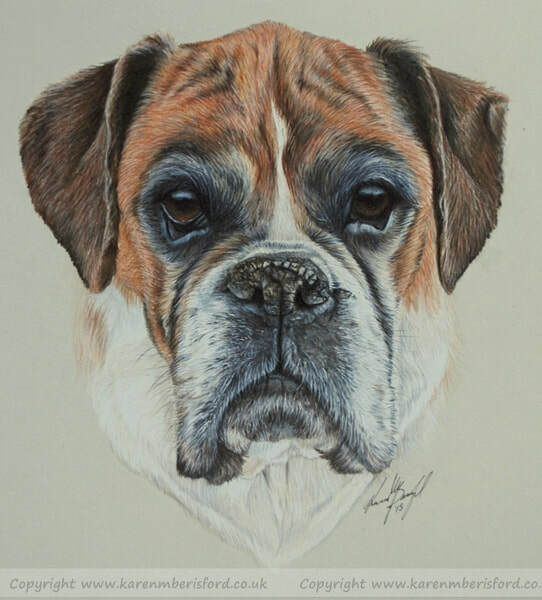 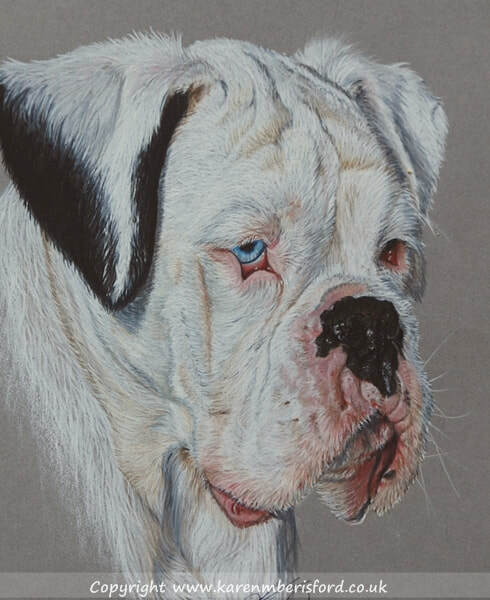 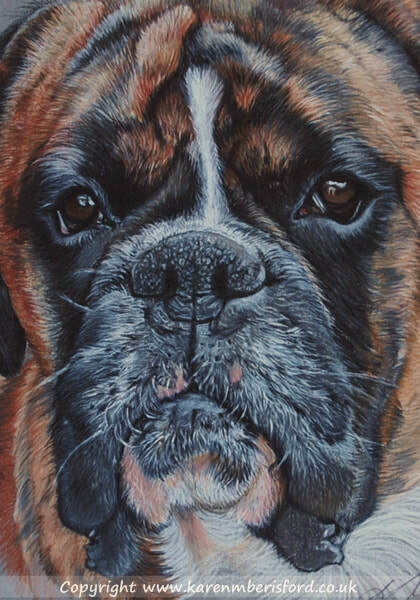 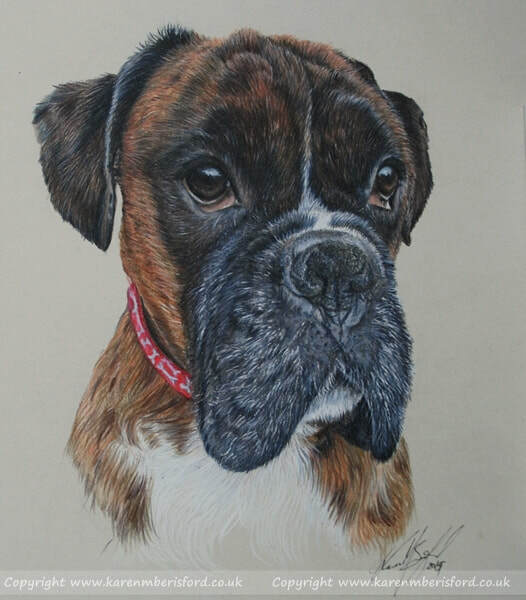 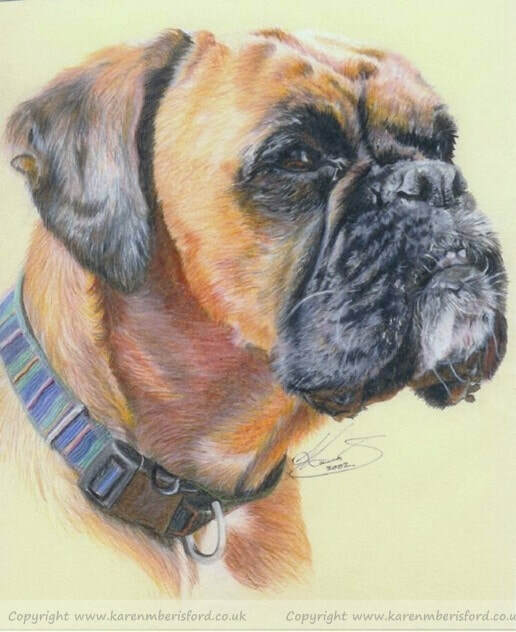 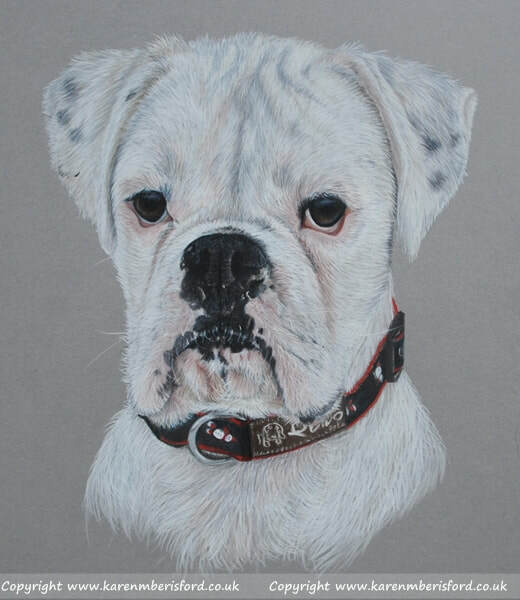 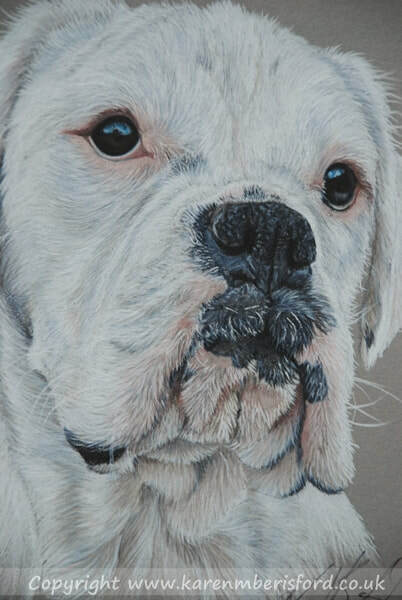 ​The Gallery below offers a selection of my Boxer Dog Coloured pencil Artworks that I have produced over the years. 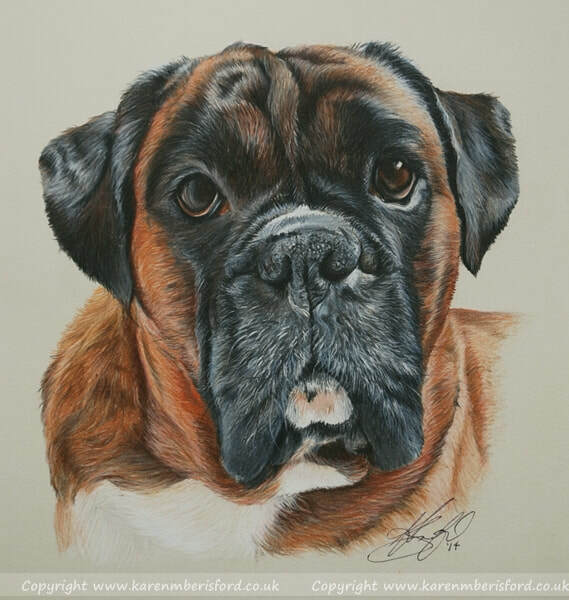 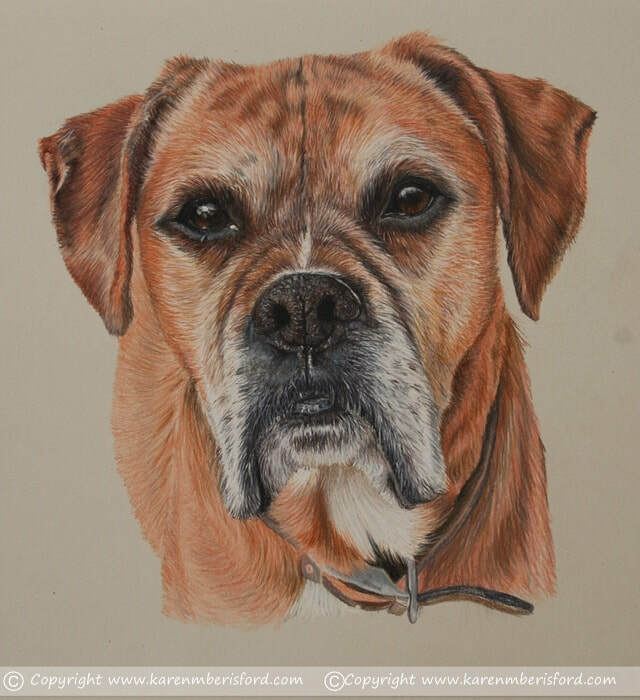 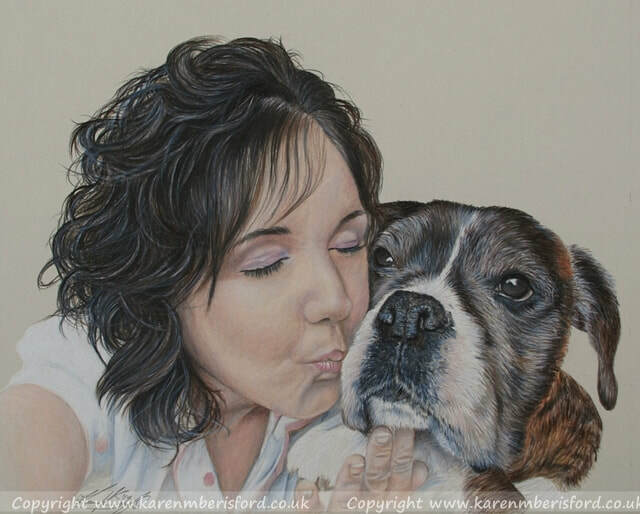 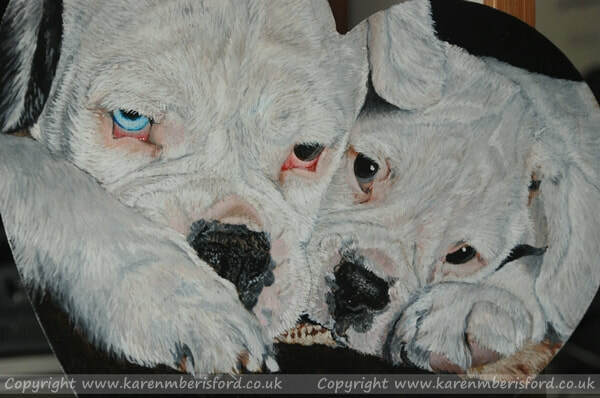 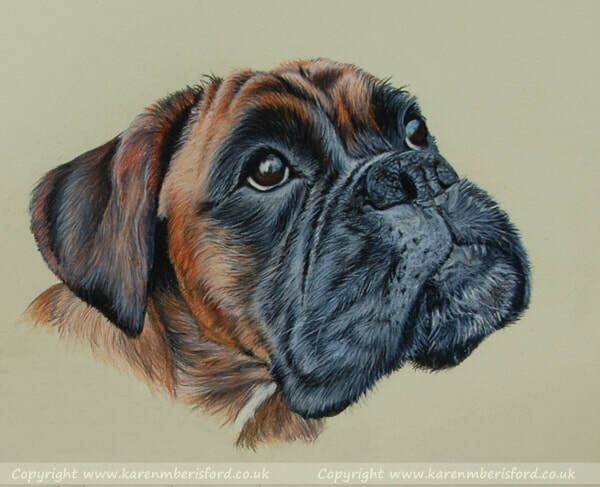 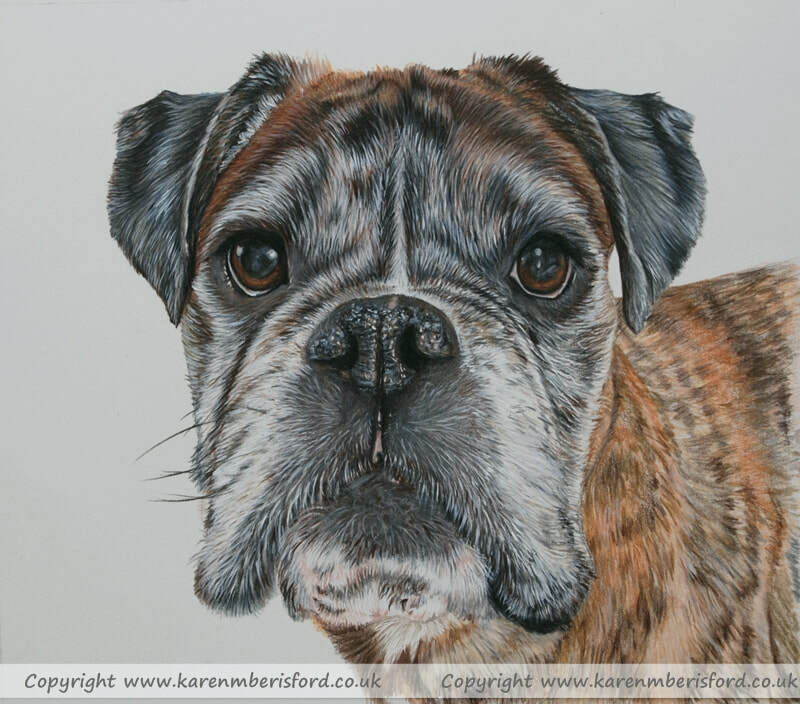 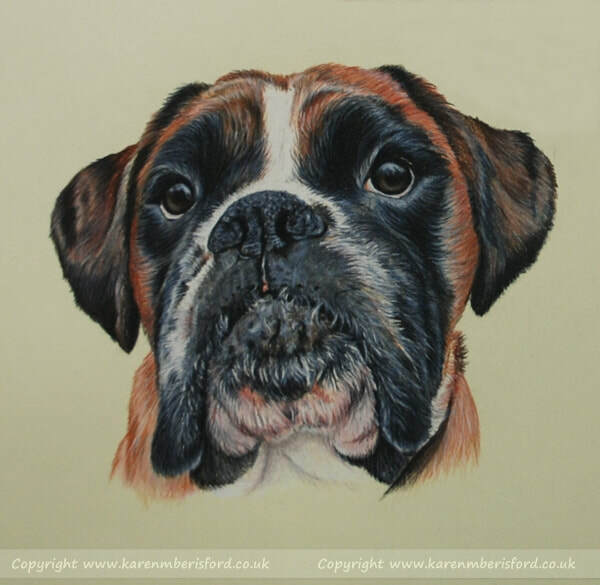 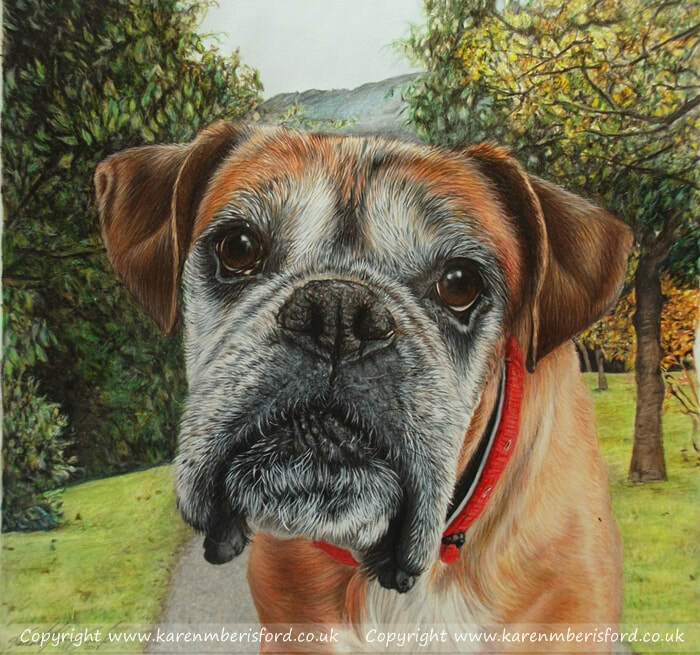 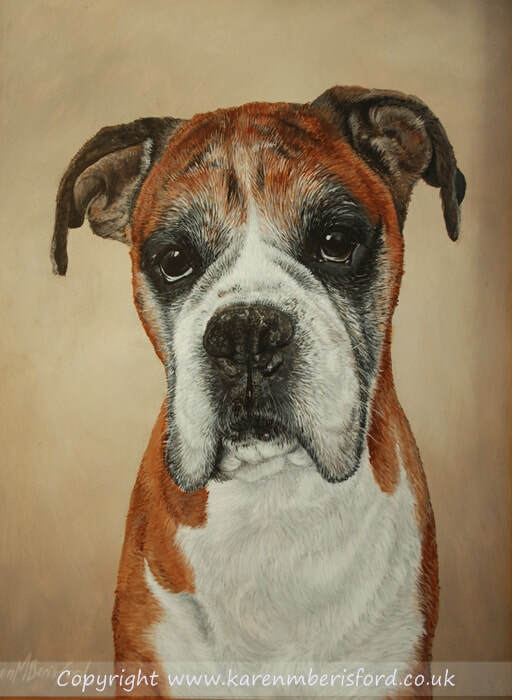 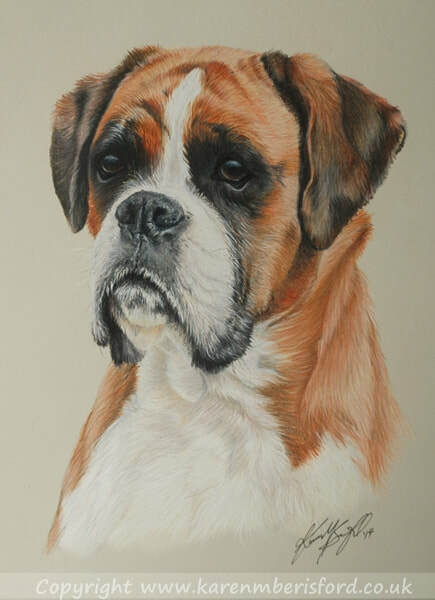 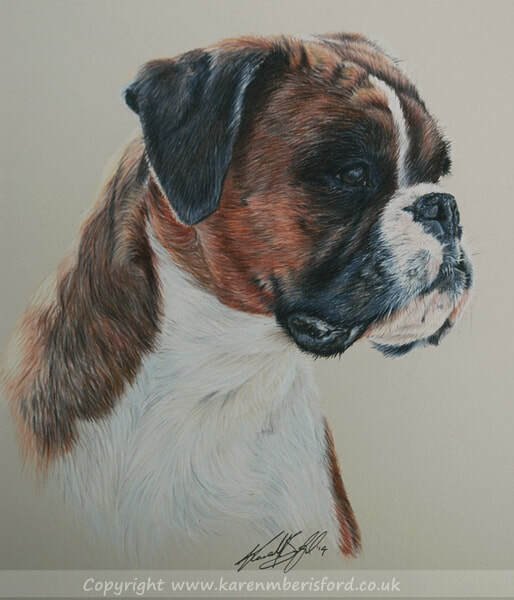 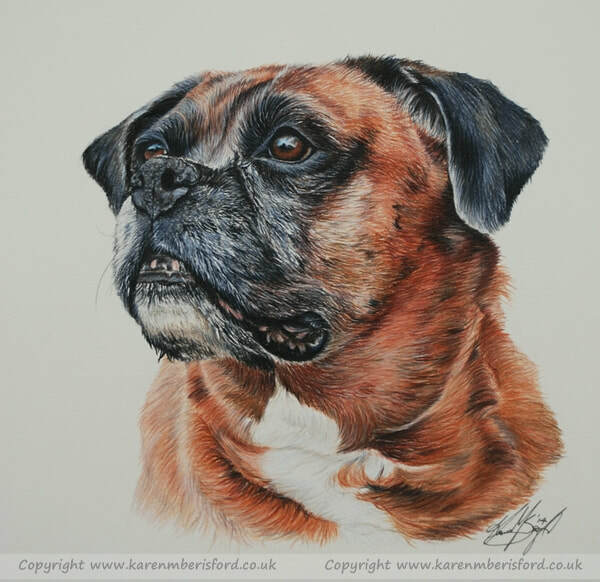 The Acrylics & Coloured pencil ranges that I use in my Boxer dog portraits have archival qualities and both are lightfast which ensures longevity in every one of my portraits. 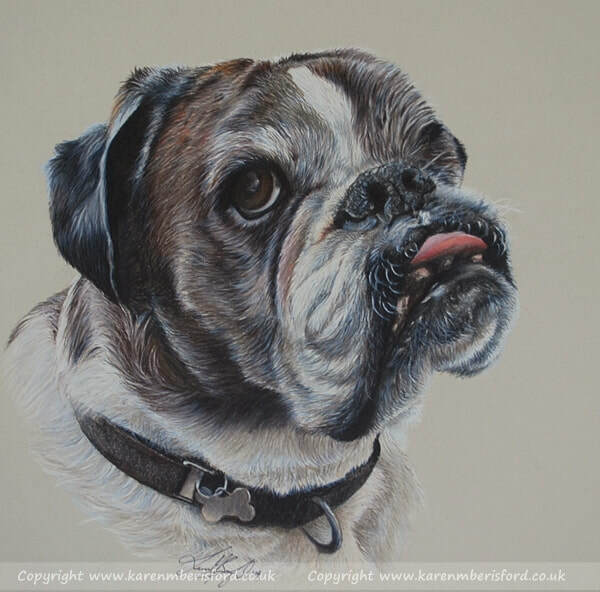 My Acrylic paintings are finished with a UV Satin Varnish and my pencil portraits are finalised with a UV fixative to help protect and extend the lifespan of my portraits. 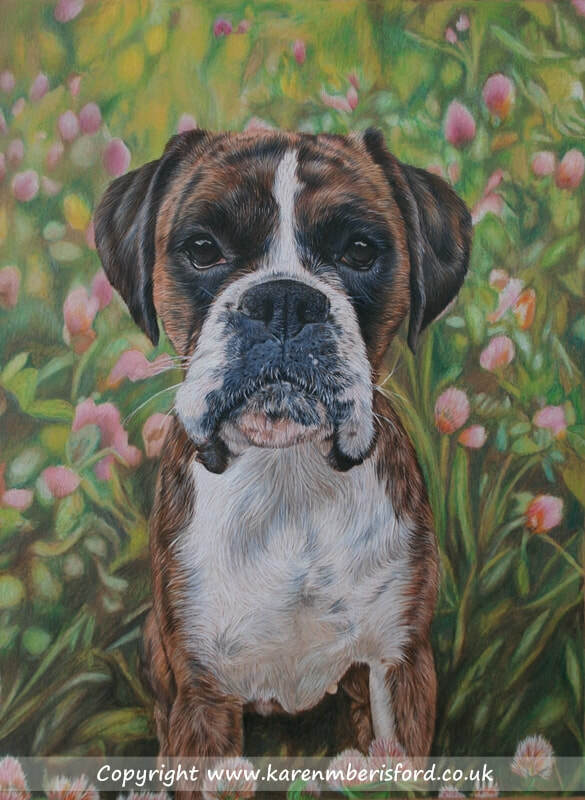 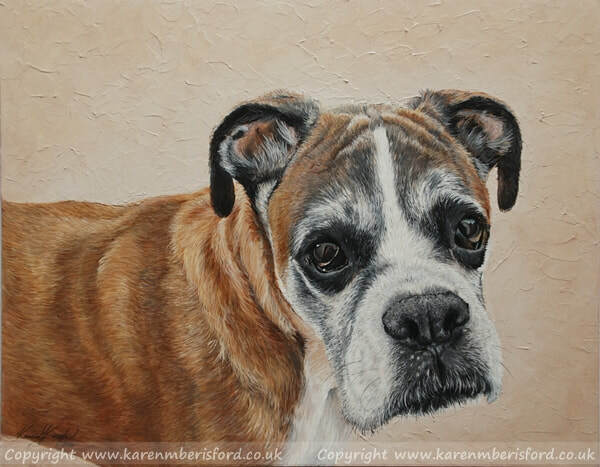 Thinking of booking your own Boxer dog portrait? 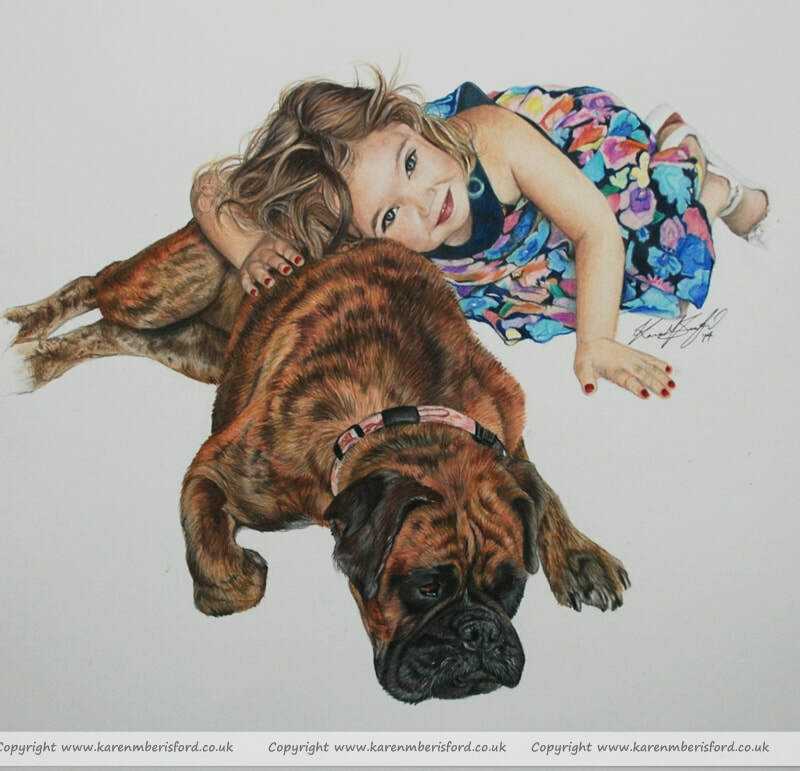 Your reference photo(s) may define your commission so choosing a good quality image is the most important aspect of the process. 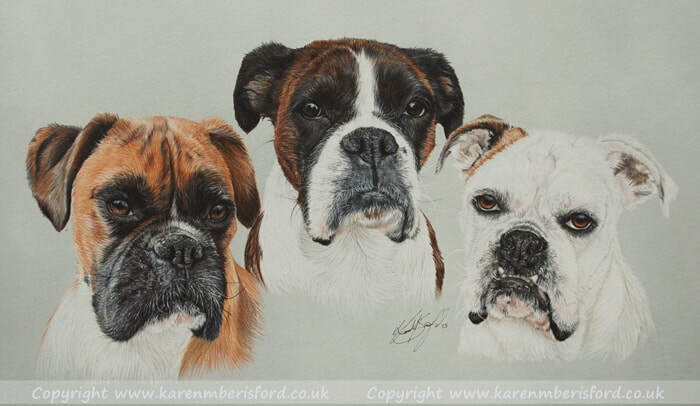 I have a large reference library of my good friends Boxer dogs (Reds, Brindles & Whites) and will use these images for detail that may be missing. 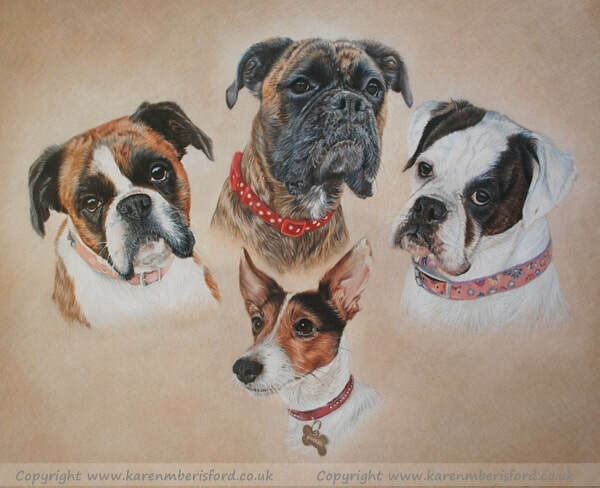 If you need help selecting a good photo or are thinking of taking your own photos, you can find information on the 'CAPTURING GREAT PHOTOS' page.​​There are no additional charges for 'extra subjects' and depending on the size of the portrait you choose, you can have as many additional subjects added as is possible to fit onto your chosen size. 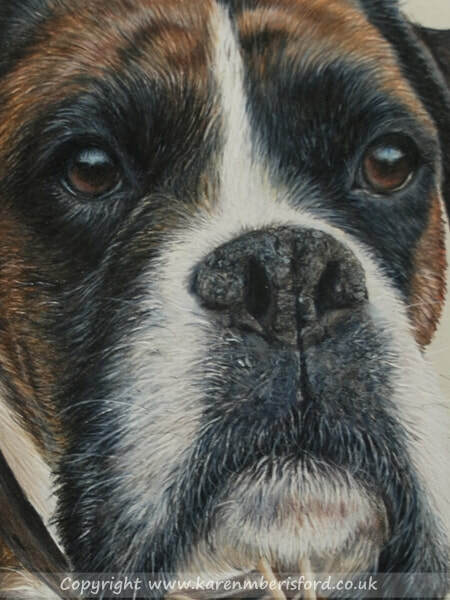 It is best to provide individual photos of each subject and one image of all subjects together so I can gauge their sizing.